Welcome to our quarterly Axios Trends, where our experts give you an exclusive look ahead. My thanks to maestro Meg Marco, the Axios Deep Dive editor. I'd love to hear what you think: Just reply to this email, or write mike@axios.com. And please ask your friends, family and colleagues to sign up with one click here. 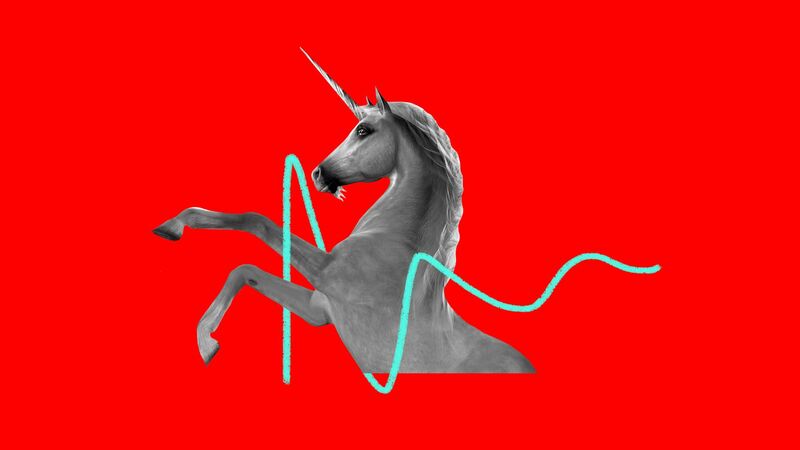 The new stock market volatility isn’t expected to discourage a parade of unicorn IPOs in early 2019. Who’s coming: Uber and Lyft have already filed confidential paperwork, so they’re likely to price before the end of Q1. There also are widespread expectations about offerings from Airbnb, Peloton, Palantir and Slack. Those companies have an average age of greater than 10 years, which means lots of employees and investors seeking liquidity. The public markets may have a difficult time finding a bucket of comparable companies to map them against. This is particularly true for Lyft and Uber — there are no publicly-traded ride-hail companies. Caveat: The SEC is affected by the shutdown, which may cause filing delays. Sign up for Dan's daily deals newsletter Axios Pro Rata here. For a year, the term "superstar" — in a business context — has referred to outsized cities, companies and individuals who stand heads and shoulders above their peers in terms of achievements like wealth and stature. Over the coming year, look for the description to assume a more pejorative connotation, as "superstar" and "inequality" meld into one negative new zeitgeist. What's next: We have already seen Big Tech creating more jobs outside the coasts — in Dallas and Austin, Charlotte and Nashville, and elsewhere. But look for pressure on big companies across industries to share the wealth by creating affiliates and more jobs outside the biggest cities. Sign up for Steve's daily Axios Future newsletter here. It's a big moment for global democracy. The leadership of roughly a quarter of the world will be decided as three of the seven largest countries by population will hold general elections in the next four months. They follow Bangladesh, the eighth largest, which went to the polls last Sunday. Nigeria (February): Four years ago, President Muhammadu Buhari swept into power on a surge of optimism, pledging to restore security and stamp out corruption. Since then, his record has been mixed, his popularity has dwindled and his health is poor (he recently had to deny rumors he’d been replaced by a body double). The old guard is clawing at the door. Indonesia (April): President Joko Widodo is a charismatic reformer, but he’s in a bitter fight fueled in part by misinformation about his faith. He has picked an influential Muslim cleric as his running mate in an attempt to undercut his strongman rival. If he loses, observers fear a rollback of democracy. Sign up for David's bi-weekly World newsletter here. After taking a backseat on Washington’s priority list for most of the past decade, climate and energy policy are set to be in the limelight with the start of the new Congress. House Democrats have created a special committee to focus on climate change, which could likely include consideration of a progressive “Green New Deal” policy championed by Rep. Alexandria Ocasio-Cortez. A bipartisan carbon tax bill from late last year is likely to be re-introduced. President Trump has cited infrastructure as potential common ground, prompting Democratic Senate leader Chuck Schumer to call for climate to be included. Watch for business lobby groups, chiefly the U.S. Chamber of Commerce, to ramp up pressure to raise the gasoline tax as a way to pay for infrastructure improvements. Sign up for the daily Axios energy newsletter Generate by Ben Geman and Amy’s weekly Harder Line column here. Technology companies will confront bigger business challenges next year in an environment shaped by new regulations, public controversies and investor jitters. Why it matters: Despite an onslaught of bad headlines in 2018 about privacy problems, data breaches and political bias, most tech companies didn't feel the pain. But like other rising industries before it, the technology sector will eventually need to comply with new standards. What we're watching: The legislative fight over new laws could expose flaws and weaknesses in ways that eat away at consumer trust and loyalty. Sign up for Sara's weekly newsletter, Axios Media Trends, here, and Ina's daily tech newsletter, Login, here. Even if fully autonomous vehicles are still years away, automakers are rolling out automatic braking, computer-guided lane changing and other features that try to make conventional cars smarter and safer. The Consumer Electronics Show in Vegas next week, which has become as important as any auto show, will feature the latest in automotive robotics and sensors, including lidar systems (like radar, only with light) that can help cars see and understand their environment. A week later, at the North American International Auto Show in Detroit, we'll be watching for hands-free highway driving and other advanced driver-assist systems. These technologies are intended to make driving safer, but people may get complacent and mistakenly believe the car can drive itself. Why it matters: Tech continues to advance even as consumer demand lags behind the industry’s pace of investment. Sign up for Joann's weekly newsletter on autonomous vehicles here. The issues that whipsawed stocks in 2018 — trade and the Fed — aren't going anywhere this year. That leaves few catalysts to push stocks to new highs, despite the jump after yesterday's monster jobs report. Trade: Almost all analysts are optimistic about the likelihood of a U.S.-China trade deal. The Fed may back off on hiking interest rates as quickly as previously planned. But the central bank won't revert to easing — despite what traders are betting. An added Fed wild card: This year brings more press conferences. For more from Courtenay and Dion Rabouin, subscribe to Axios' new daily Markets newsletter here. Sign up for Felix Salmon's weekly business lookahead, Axios Edge, here. If there’s any area where the Trump administration and a Democratic House majority could find common ground, drug pricing may be it. Why it matters: Pharma is on its heels, in a way it hasn’t been for years. And it will stay on the defensive for the next two years. Be smart: President Trump has scrambled all the usual alliances. On policy, Trump is basically aligned with Democrats, and congressional Republicans are in sync with industry. Sign up for Sam's daily Vitals newsletter here. Astronauts haven't launched from U.S. soil since the end of the space shuttle era in 2011. But as Russian rocketry ages and U.S. commercial and military interests grow, the ability to carry astronauts from the U.S. will be key. Boeing and SpaceX — both NASA partners — are planning uncrewed tests of their spacecrafts in the first half 2019. SpaceX's first test is scheduled for January 17. These uncrewed tests will be accompanied by "abort tests" — a key demonstration of the ability of the crew to escape from the spacecraft in the event of an emergency. A demo test flight of SpaceX's Dragon space capsule, carrying two NASA astronauts, is scheduled for June and the first crewed flight for Boeing is on the docket for August. Sign up for Andrew's weekly Science newsletter here. Australia's new law guaranteeing access to encrypted data for law enforcement and counterterrorism authorities could have a profound effect on the way business is done elsewhere. Why it matters: Security experts believe, almost unanimously, that there’s no way to build a backdoor that can be exploited by a government but not by hackers. Widespread adoption of Australia-style backdoor requirements may create pressures to locate business based on assessments of how laws are enacted, and how much trust a government has earned. Sign up for Joe's Codebook newsletter here.